Nearly 200 years after Darwin arrived at Galapagos, Euan and his team are exploring the shark communities of this fabled archipelago. They are also running programmes to inspire local communities to protect sharks within the islands’ marine reserve. 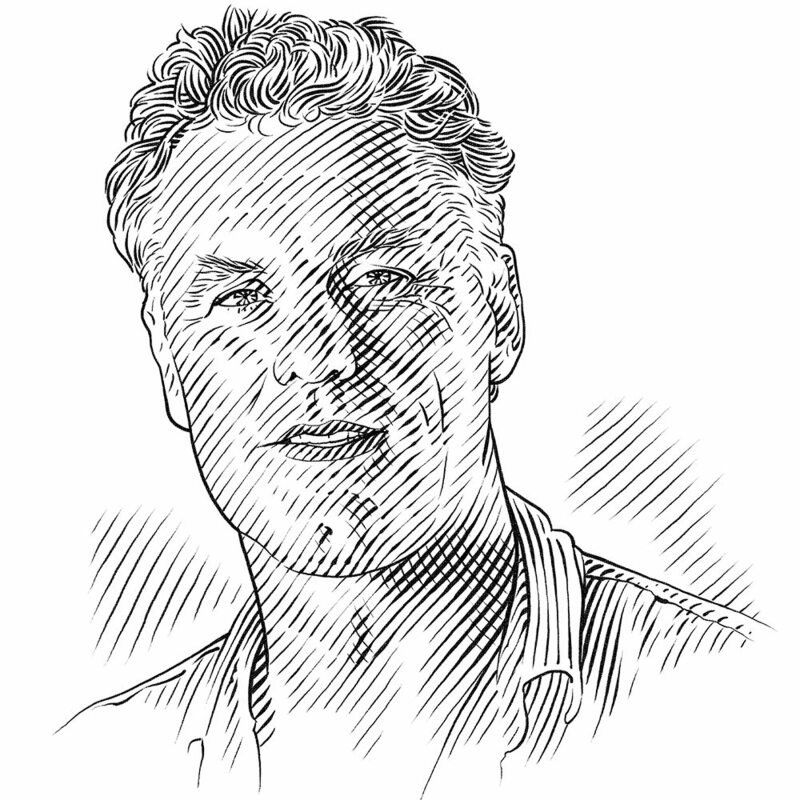 Growing up in New Zealand, I developed a love of bush-walking and surfing that fuelled an interest in conservation and led me to undertake a degree in conservation management. During my studies I was fortunate to be exposed to pioneers in marine conservation research, in particular Bill Ballantine, the grandfather of marine reserves in New Zealand, and Steve Dawson and Liz Slooten, both marine mammal experts. Following the management degree I was inspired to take a broad and practical view of marine conservation and undertook a PhD in marine ecology and sustainable fisheries management tools. The key objective of this project is the long-term conservation of shark populations in the Galapagos Marine Reserve and Tropical Eastern Pacific region through the implementation of scientifically sound regulatory frameworks and the support and engagement of the public. This will provide a model to inspire global change in shark conservation. The Galapagos is internationally recognised as a hotspot for sharks. Yet there is little or no information about the status of the islands’ shark populations. The data we propose to generate will document the conservation status of sharks and evaluate the effectiveness of the Galapagos Marine Reserve. This will contribute to its better management. Timing is important because of current social and political pressures to re-open a shark fishery (including the use of long-lines) inside the Galapagos Marine Reserve. Potential decisions will be made without knowledge about the vulnerability of sharks and potential socio-economic implications. A new dynamic zoning scheme is now under evaluation and review. It is critical to ensure that all new management decisions debated and approved by the Participatory Management Board are based on the best scientific knowledge and have the support and understanding of local stakeholders and communities. There is global concern about the decline of shark populations and some species are threatened with extinction. It is widely accepted that marine protected areas play a crucial role in the recovery of fish and shark populations, although no study has documented the recovery of sharks in a large marine protected area. Marine protected areas need to be evaluated to determine if they are indeed the best management tool for shark conservation. Thus, there is a crucial need for quantitative, fishery-independent evaluation of the distribution and abundance of sharks using survey methodologies alternative to traditional lethal techniques. Such data will provide baseline information allowing for the quantitative evaluation of potential population recoveries in future. The Galapagos Marine Reserve is a biodiversity hotspot of global significance and one of the few refuges where abundant populations of large marine predators can still be found. Despite this iconic status, there has been no scientific evaluation of the effectiveness of the Galapagos Marine Reserve in protecting shark populations. Since 2000 shark fishing has been banned in the reserve, yet anecdotal data suggest a severe decline in shark numbers, potentially due to illegal fishing or a lack of management and regulation. Sharks have been identified as one of the most important tourism attractions in Galapagos, and they play a crucial role in maintaining healthy marine ecosystems. Shark conservation is therefore essential to ensuring continuity of the ecosystem services provided by the reserve. If the implementation of spatial management is to be successful, it needs to take into account human social context. Most studies regarding this issue have focused on the economic value of sharks, while relatively few have concentrated on communities’ attitudes and perceptions towards sharks and their conservation. This knowledge is crucial to identifying the best approaches for educational and awareness campaigns in order to achieve greater impact. Identify and characterise the main sensitive areas and critical habitats for the seven most common and representative shark species in the Galapagos Marine Reserve. Conduct the first shark population assessment in the Galapagos Marine Reserve, establishing a baseline of shark relative abundance, population structure and recruitment. Carry out a study focused on public perceptions of sharks in Galapagos. We will assess public knowledge of sharks and shark fisheries, and public attitude towards these fish and their conservation. Provide capacity-building and technical advice to the Galapagos National Park Directorate and local stakeholders, which will be considered in conjunction with the Galapagos Marine Reserve’s new zoning scheme. 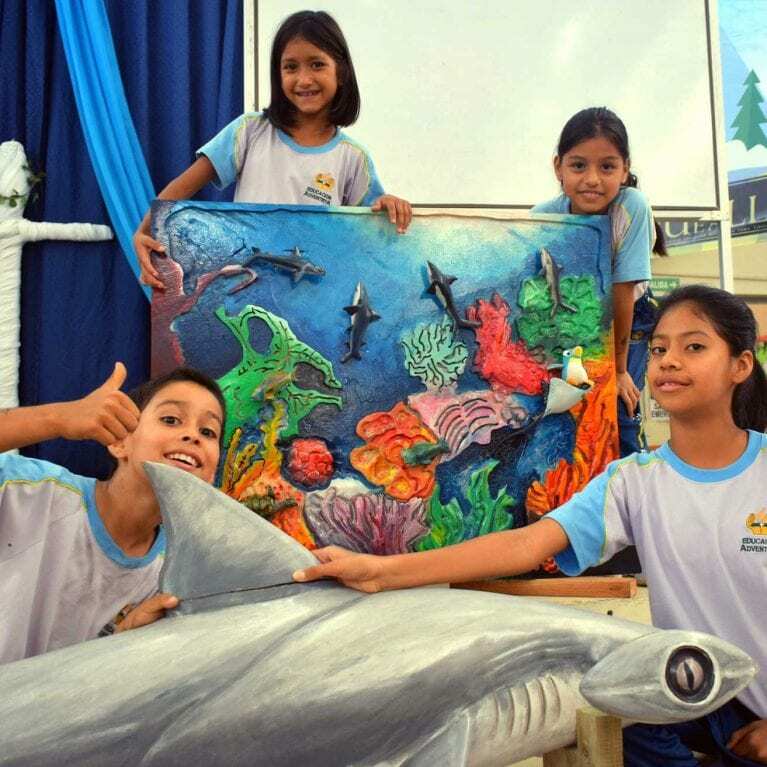 Increase engagement in shark conservation by coordinating and conducting a multi-institutional educational campaign based on this project’s results with the core message: ‘Galapagos needs sharks and sharks need Galapagos’.